If you want to add some colour to your home or garden in Brisbane then do it with a garden bed. Queensland Sheet Metal manufactures a wide range of corrugated garden beds that can give the natural touch to your home or yard. Our custom manufacturing means that you can get your garden bed in a variety sizes and colours. Take advantage of the Colorbond® steel range of colours and make your garden supplies match your kitchen, your bedroom or your garden. Put them on a windowsill, a bedhead or spread them around the garden. Our garden beds are great for any space. At Queensland Sheet Metal we manufacture corrugated garden beds and raised garden beds that are great for all of your needs. These lightweight wonders are a great alternative to standard garden beds and they have the durability to go anywhere and grow anything. Suitable for all your favourite plants, flowers and garden types, there are plenty of reasons to pick up your new garden bed. Make a statement with Colorbond® steel – Your garden bed can easily reflect your personal style with the Colorbond® steel. Match your surroundings and even the colours of the plants and flowers you grow with different shades of Colorbond® steel garden beds. Custom dimensions – We’re not just providers of garden beds, we’re manufacturers. Take advantage of a custom built garden bed, designed with lengths, depths and widths to suit any space. Safe and family friendly – Our garden beds have safety edges which means safety first when you’re handling them and potting your plants. Garden beds could be the focal points for great family activities. Try starting a veggie garden with the kids! Australian Made (and made for Australia) – Our garden beds are manufactured right here in Brisbane using Bluescope Steel’s Australian product. 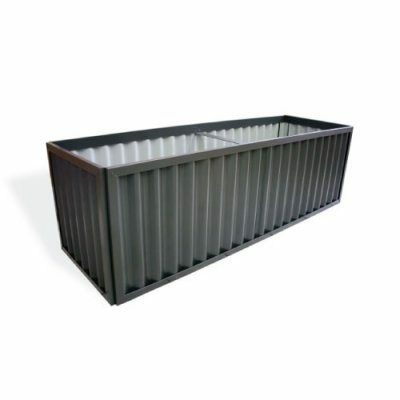 Our corrugated garden beds are designed for durability in the Australian climate, lasting in rain and harsh sunlight. If you get your new garden bed from Queensland Sheet Metal only your imagination will limit what you can do. Our garden beds are durable and diverse, and are suitable for a great range of spaces and activities. Group them together to create a centrepiece in your garden or add shape and style to your surroundings by scattering different plants and flowers around your house or garden. The range of shapes and colours mean that our garden beds will suit any environment and every style. Explore our projects page to be inspired by our practical solutions for corrugated garden beds and a range of other products. Contact the team at Queensland Sheet Metal to pick up your garden bed or get inspired with our gardening tips. Call 1300 926 074 today.